TAVY CLEAVE was built in 1964 for Dr Henry Bateman. 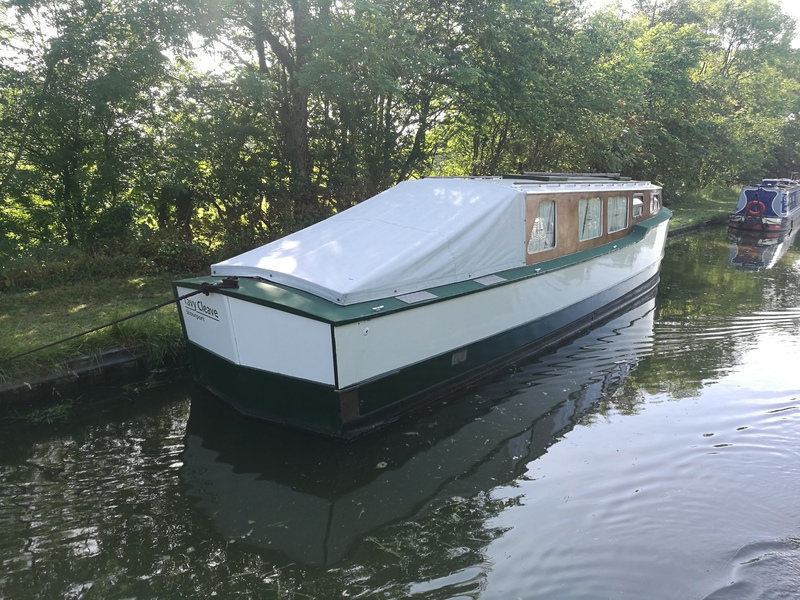 Her first voyage from Stourport was to attend the 1964 IWA rally of Boats & Arts at Stratford on Avon, celebrating the re-opening of the southern part of Stratford Canal. 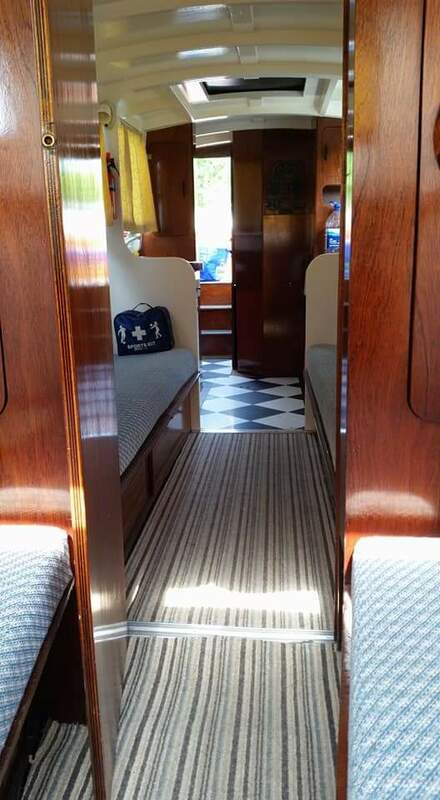 Between 1973-1978 she was used as part of the hire fleet by Canal Pleasurcraft Ltd as Exevale. Then in 1978 she returned to the Bateman family and returned to being named TAVY CLEAVE. In 1994 her BMC Petrol engine was replaced with a Vetus M3.10 22HP Mitsubishi diesel engine. In July 2009 the vessel suffered damage because of an underwater obstruction and was almost sunk, but she was retrieved and repaired before advertised for sale. 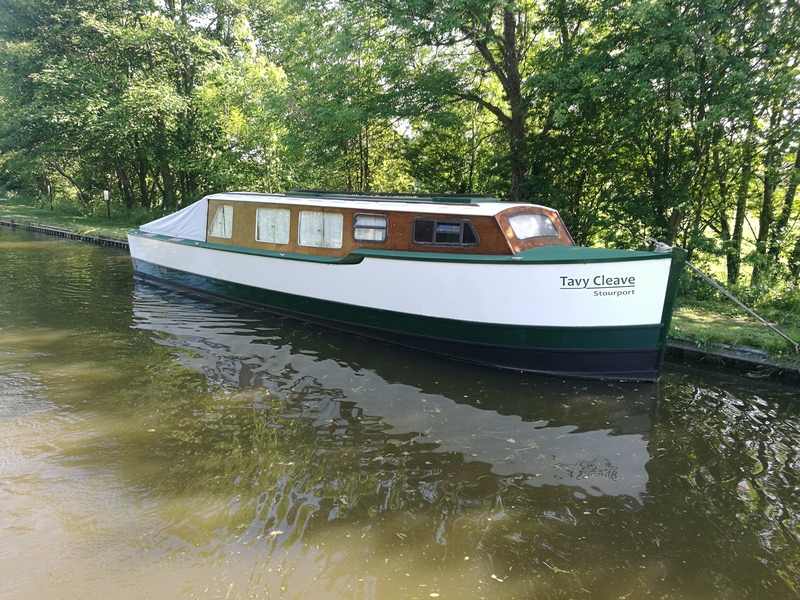 Dr Bateman donated TAVY CLEAVE to the Kensington Foundation Canal Boat Project in March 2010 where she was repaired enough to make the long journey 'home' to Lancaster Canal, where she has been ever since. 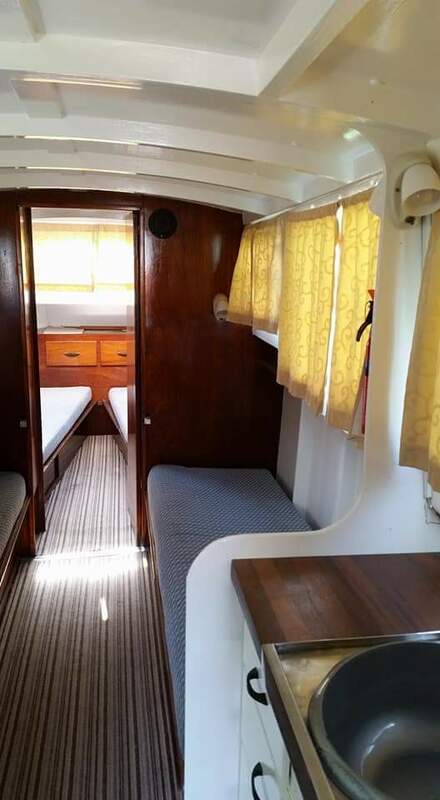 Her current owners have replaced parts of the gunwales as well as patches to bodywork with latest works during the winter of 2018 including ply-ing her roof. All repairs have been undertaken sympathetically to the age and design of the vessel.